The Esher 10K is set primarily in the woods of Esher, Oxshott and Claygate. The Fun Run is a lovely run for all the family to enjoy on the morning of Bank Holiday Monday and is set primarily in the woods of Esher (Arbrook Common). Following on from the success of recent years, both runs will again finish at Arbrook Lane on the green (by the Swan Inn pub). Chip timing in both events. Please click here to go to the entry page. The ever popular Wheathampstead 10K run will be taking place on Sunday 12 May 2019, starting and ending up on the Marford Playing Fields. The route is a challenging off-road course, and with its outstanding scenery and friendly village setting this is a popular run with all levels of runners. Click here to go to the 2018 entry page. Follow this link to the race website. 2019 will see another PARAS'10 Double at Colchester 18 May and Catterick 7 September. This is the 7th year of the Colchester event and will showcase 16 Air Assault Brigade and is a testing 10 mile route on the local training area, watch out for the obstacles and stream crossing. Located at Colchester Garrison in Essex. Open to civilians and military. Please follow this link to go to the entry page. The Lunacy Race will be held just outside the village of Hatcliffe in the heart of the Lincolnshire wolds, 10k of undulating terrain with hills, woodland, water, ropes, climbs, on all Natural obstacles, on completion you'll become a fully fledged Lunatic. Unique medal to all finishers. Follow this link to go to the entry page. This event is hosted by Run to Live Running Club with assistance from Ember Inns Woodman Public House in Ashtead, Surrey to raise money for local charities: Ashtead Common (charity number 1051510) and North Surrey Afasic. The race takes place on Ashtead Common and is a multi-terrain event with a heavy bias towards the paths and trails of the Common. Please click here to go to the 2019 entry page. The GWR Towpath Series is back! The Race HQ has excellent facilities including changing, showers and parking This is a highly popular assortment of 10K events (with a 5K to finish off with!). If you feel up to the challenge of all five races or just want to enter one or two when you have a spare Friday night. If you have never joined us for this event before, what have you been doing?! The Mendip Challenge is an exciting sponsored event for those looking to have fun, challenge themselves and raise money for Weston Hospicecare. The routes - 30 miles, 20 miles, and 10 miles - are open to all individuals, teams, families, and dogs and take you along the West Mendip Way in the Somerset hills. You can choose the distance that best suits you, and when you get back from your trek across the hills there will be food and drink available for you to buy, as well as music for you, your friends, and family to enjoy. So what are you waiting for? Dust off those walking boots and get hiking for a great cause. * Please note: children under 16 must be accompanied by an adult over 18. Sunday June 9 2019 at 10am. Please click here to go to the new event webiste. The Run At Stanwick Lakes Summer Run is ideal for the recreational runner perhaps entering a run for the first time or the competitive runner looking for a personal best! Stanwick Lakes is the ideal running course with purpose built tracks and the additional feature of being on a nature reserve with stunning views. All runners are timed and receive a finishing medal. Our Visitors Centre café is open from 8.30am on run day serving pre run drinks and food. The multi terrain course starts and finishes on the village Common and takes in footpaths,bridleways,woodland and some road sections.Voted one of the most picturesque runs in the South of England. With your help we have raised over £93,000 for charities over the last thirteen years...our 2019 charities are, TBC and the Friends of Ewelme School. Tea, coffee, cake and the world renowned monster muffins will be on offer for runners and spectators alike. This will be our fourteenth anniversary, and we're aiming to pass the £100,000 milestone raised in total for good causes. Come and help us make it a great day! Follow this link to the 2019 entry page. After the HUGE success of the last 6 years, this event is brought back to you by The BeaRCat Running Club in association with Fullers. This is not just a race its is a day for all the community from the start line to the aftershow party in The Turks Head. Starting and finishing on the picturesque Marble Hill Park towpath following the river Thames in a circular route via Twickenham Riverside, Teddington Lock Bridge, Ham House, Petersham Fields and Richmond Bridge. Fantastic, friendly, very generous, goody bag, huge community event (everyone you know from the area will run this one) best marshals, big family fun day back at The Turks Head directly afterwards. Come and enjoy ongoing BBQ, prize giving, live music, face painting and ice cream for the kids, and the fantastic atmosphere that is The Bearcat Running Club! One not to be missed. An undulating multi terrain 5k and 10k in the countryside and woods behind The Misbourne School, five minutes from the A413. The course consists primarily of footpaths and bridleways with a very small section of road at the beginning and end of the race. The race finishes on the school playing field. It includes some ascents and descents. Run under UK Athletics rules. In line with the Trail Association health and safety recommendations. There will be medals for all finishers, prizes for winners, category winners, and Misbourne students. A flat, picturesque 10 mile multi-terrain course on road, river path and woodland, starting and finishing at Giggs Hill Green, Thames Ditton. Good race facilities including the famous post-race barbeque and licenced bar organised by Thames Ditton Cricket Club. Superb bespoke finishers medal. The race is electronically chip timed and there are prizes for individuals and team performances. The event combines a perfect English village atmosphere with professional race management yet is based just 3 miles from Kingston Town Centre. The Ditton Dash 10k is based alongside the Harry Hawkes 10 mile it shares the same start line but sets off at the earlier time of 08.00. Based at Giggs Hill Green, Thames Ditton, the runners will run around the Green and off towards Esher before branching into Ditton Woods after shortly before the 1k mark following a trail path through the woods the course then leads out into Thames Ditton. Returning through the woods for a second lap the race then returns to Giggs Hill Green for a finish close to the Thames Ditton Cricket Club. Fast, flat and friendly. Eastbourne's newest event to the race calendar. Taking in the iconic seafront on a one lap course. Whether you are a fun runner, first timer or speed dog this event will float your boat. Limited to just 300 runners. Medals for all finishers and prizes for top 3 ladies and men plus age group winners. Chip timing. Click here to enter the 2019 event. The race is supporting Autism Sussex and will be making a donation from the proceeds. Coming back to Windsor and Eton for 2019 is a completely unique 10km trail race for runners of all abilities brought to you by Runface. An an out and back course from Eton & Windsor, you'll be taking on not just other runners, but a target pace boat full of spectators that will be tracking you and trying to beat you back to the finish line. All runners set off together in a traditional race format, with a difference, because just yards from where you start on the Brocas fields in Eton, the 5 Thames Cruise boats will be starting too and they'll be full of your friends and family members ready to cheer you on, as you try to beat the boat. The annual five mile run, which attracts an entry of some 500 runners, is organised by the Claygate Flower and Village Show Society. The run follows a route which, apart from the final mile, is nearly all on footpaths on and around Arbrook Common. Newcomers to the run are surprised at the attractiveness of this countryside. Only moderate hills are encountered. The run starts and finishes at the Claygate recreation ground. Brighton Phoenix 10K race is an out-and-back fast well-marshalled course that runs west towards Shoreham on the promenade. After Hove Lagoon the course meets Basin Road South (this will be closed). Following Shoreham Docks the race turns at Carats Café at 5km returning to the finish at Hove Lawns. This course is capable of producing fast times as it is flat and relatively straight. Big PB potential. Please note: rather than awarding finishing medals – PHX10K make a donation to our charity partner. The 3k Fun Run will be a single circuit around the same area as Duckponds race. This event is suitabe for all ages. Plymstock Runners use Sport Systems' RaceMaster to time this event. First held in 1993 the 26th Sevenoaks 7 takes runners through some of the most beautiful countryside in England. The race is run over 7 miles on paths and grass through the rolling hills and woodland of Knole Park, one of the nation's few remaining Tudor deer parks. The course map is attached. For the first time the 7Oaks7 has been accredited Kent Grand Prix status this year. The race HQ is at Sevenoaks Rugby Club where changing rooms, showers and refreshments are available. Runners (aged 16+) from everywhere are welcome and all finishers will receive a Sevenoaks 7 enamelled medal. There is a 2.5k Junior race for 9 to 15 year-olds. The race will raise money for the Dame Kelly Holmes Trust to help disadvantaged youngsters get their lives on track and is sponsored by Up & Running, Sevenoaks. The 30th Elmore 7 Road Race is organised by South London Harriers. It starts and finishes in the grounds of "Elmore" the country house that is home to the Chipstead Flower Show. The course, which has been accurately measured passes through the surrounding scenic and undulating country lanes and is suitable for all levels of runners. Saturday the 17th of August 2019 starting at 09.00am. The 22nd Compton Downland Challenge is one scenic twenty mile lap. The course is route marked and consists of mainly footpaths, tracks and bridleways (which can all be fairly muddy) with some short, almost traffic free, road sections linking them. Please note that there is a cut off time of 6 hours. The Paisley 10K Road Race with Fun Run on Sunday 18 August 2019 has grown year on year. There will however still be plenty of space for regular club runners, recreational runners and novices - so no matter what your standard and goal all are welcome. For families, friends and youngsters there is the Fun Run and other fun activities taking place throughout the day. ONLINE ENTRIES WILL CLOSE AT NOON ON FRIDAY 16 AUGUST. THERE WILL NOT BE ANY ENTRIES AVAILABLE ON RACE DAY. A friendly rural road race, over a point to point course, starting in one East Sussex village and finishing in the neighbouring village. FREE pint of beer or soft drink to ALL finishers, courtesy of the Kings Head Pub, East Hoathly, East Sussex. This year is the 22nd running of the Kings Head Canter 5K. Each year on the August Bank Holiday Monday around 240 runners enjoy the great atmosphere of this well organised event, complete with barbeque and drinks at the finish. 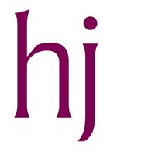 Founded by WO1 JJ Wilson PARA The PARA'S 10, was hosted by The Parachute Regiment in Aldershot 1982 - 1993. Since the Paras left Aldershot in 1993, this legendary event was dormant until it was revived by Major Sam McGrath in 2008, the event is now run by Pegasus Company, The Parachute Regiment's own training and selection wing. Now in its eighth year at Catterick the PARAS' 10 is well established as one of the UK's "must do" endurance challenges as indicated below by the fact over 10,000 runners and ‘tabbers’ have attempted it over this period. The Chippenham Half Marathon is run over a fast, accurately measured and predominantly flat course starting and finishing at the club base Chippenham Sports Club. The route will go through the centre of Chippenham and then follow scenic country lanes visiting local villages and hamlets including Tytherton Lucas, Langley Burrell, Avon and East Tytherton. This event is ideal for first timers or experienced long distance runners looking to achieve a personal best. Are you brave enough to face the 100ft drop? Registration is now open. 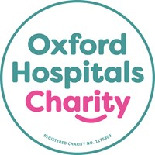 Register here for the Oxford Hospitals Charity annual Abseil. The Run At Stanwick Lakes Autumn Run is ideal for the recreational runner perhaps entering a run for the first time or the competitive runner looking for a personal best! Please clcik here to go to the 2019 entry page. The race is organised by Wimbledon Windmilers Running & Triathlon Club. The Barns Green Half Marathon and 10k, near Horsham, West Sussex, is run on traffic free closed roads through the beautiful Sussex countryside, passing through the historic Christ’s Hospital school. We have live music, food, entertainment, and a funfair at the start/finish. Along the route there are water stations, distance markers, marshals and of course the support of all the locals and spectators. We provide a medal and goody bag for each finisher, secure baggage storage and free parking. The Royal Borough of Kingston Half Marathon is fast, flat and scenic. It starts and finishes in the Ancient Market Place in Kingston town centre. The race starts at 08.30 on a closed road section and takes in Kingston Centre before heading out along the river and back through North Kingston. After 5 miles it follows the River to up to Hampton Court before returning to the historic market. Kingston is well served by the National rail network and bus routes. We have a negotiated deal for runners parking in the nearby Q parks multi storey at £5 for the day. The Royal Borough of Kingston Half is a perfect choice to start your autumn race schedule and ideal preparation for late marathons. Or treat it as the last major run before winter! Now in its fifth year, the River Thames Half Marathon has quickly become one of Surrey’s most popular autumn half marathons. 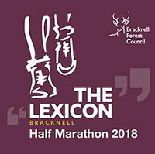 Runners like the flat, fast, scenic and largely traffic free course; the enthusiastic and friendly marshals; the efficient organisation and the bespoke medal, well stocked goody bag and free race certificate to download. This year’s race takes place on Sunday 27th October. The start and finish is at Walton Bridge, Surrey and there is ample parking close by. The route follows the River Thames towpath and roads to the south west of London. It is a perfect preparation event if you are running a marathon in November such as Florence or Valencia or you just want the challenge of completing a half marathon. Prizes will be awarded to the first three men and women; first W35, M40, W45, M50. There are also spot prizes courtesy of Bodymechanics Physiotherapy. The flat course attracts runners each year in search of a PB or those looking to complete their first half marathon. NO ENTRIES ON RACE DAY. NB Like most races, we do not give refunds or offer deferrals under any circumstances. For safety reasons we have a cut off of 2 hours and 45 minutes. Get into the Christmas spirit nice and early by taking part in the Run At Stanwick Lakes Santa Run. Maximise the Christmas spirit by dressing up as Santa, make your own costume or pre-book one when registering. Sunday 1st March 2020 starting at 10.00am. Sport Systems' spring tour of Sussex begins in Eastbourne with their half marathon. The race starts in Princes Park and mostly follows the seafront promenades towards Beachy Head and back to Sovereign Harbour, where the course loops back to the finish which is located in Princes Park. ONLINE ENTRIES WILL CLOSE ON Friday 28th February 2020 AT 12 NOON. Please follow this link to go to the 2020 entry page. Many times voted Top Ten and three times number one in UK. Three Choirs, five bands and two disco's The 36th Hastings Half is ideal Prep for London and Brighton Marathons. Click here to enter the 2020 race. Follow this link to go to the 2020 entry page. Approximate Postcode - Leisure Bowl, Parkway, Alloa, FK10 2AF.